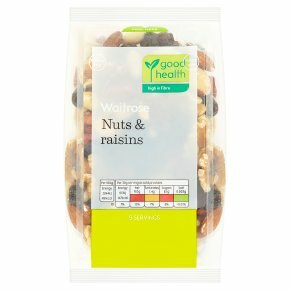 INGREDIENTS: flame raisins (raisins), blanched peanuts (peanuts), redskin peanuts, almonds, cashew nuts, walnuts, brazil nuts, sunflower oil. For allergens see ingredients in bold. May contain: may contain other nuts and sesame.